Talented and erudite writer, educator, debater, journalist, socialist and atheist Christopher Hitchens has long been making people think. His soon to be released (June 2, 2010 from TWELVE BOOKS) memoir goes deep into the essayist’s upbringing, education and life experiences that made him who we read today. “Hitch” was born in 1949 into a middle-class English existence with a retired naval officer father, The Commander and his mother Yvonne who hid her Jewishness from Christopher and his brother Peter due to her belief that they would better fit into the British class and education system. Through his mother Hitchens achieved in his education at prep schools and later at Oxford’s Balliol College where he studied politics, philosophy and economics. Hitchens goes into some detail about his mother’s tragic suicide that occurred when he was a young man. It is very evident to anyone who has read any of his books or listened to him debate – Mr. Hitchens is well-read and well-informed. He developed a love of reading, literature, poetry and knowledge at an early age. His ability to recall material from the greatest tomes of English literature is amazing. Reading any of his works leaves the reader with an ever-growing list of books that they feel must be read. Outside of academia one could only dream of being as familiar with the authors that Hitchens is either friends with or can quote from memory – Shakespeare, Martin Amis, Oscar Wilde, James Fenton, Edward Said, W.H. Auden and Susan Sontag, to name a few. As well read as Hitchens is, the reader does not have to be as well read to enjoy and learn from this interesting memoir. Hitch provides what some will take as tabloid fodder on his recounting of his bisexual life during his younger years. Hitchens has since been married twice and has two adult children. He writes of his bisexual adventurers as being a part of growing up in through and it is admirable how he addresses this subject fondly with candor. The complexities of Christopher Hitchens manifest themselves throughout the book – it is impossible to pigeon hole and label him. Most often a champion of the liberal Left and at times far enough Left to be called a socialist or even a Marxist he also reserves the right to change his mind. Hitch is not stubborn – he wants the facts as they are now with a proper respect for the history of the situation. As a war journalist he has a knack for cutting through the politics and being able to present the salient facts. Hitchens is well known for his support of President George W. Bush and United Kingdom Prime Minister Tony Blair’s war to end the tyrannical regime of Saddam Hussein in Iraq. Many believed this went against all of Hitchens’ earlier thinking about the west’s interference in the affairs of lesser nations, but that is not how he saw it. He saw parallels to other horrid governments who terrorized their own people and had horrific human rights records and felt that it was of utmost importance to stop Hussein and free the Iraqi people. Hitchens clearly understands the complexities of the world – he feels for the Kurdish minority that is stuck between Iraq and Turkey and he feels for the Palestinian situation while still understanding the need and desire for the existence of Israel. Hitchens does not shy away from anything that is deeply troubling or emotional for him – he is extremely candid throughout the book. He writes about his troubled relationship with his brother Peter and a relationship that went from close to strained to bad through time with Edward Said. The emotions are tear-inducing in a section of the chapter “Mesopotamia from Both Sides.” Here Hitchens tells of meeting the family of young U.S. soldier, Lieutenant Mark Jennings Daily from California who was tragically killed by a roadside bomb in Iraq in 2006. Daily was a reader and believer in what Hitchens wrote about the world. Daily, like Hitchens believed that freedom has a price and that it was ultimately worth that price for him to put his life on the line for a free Iraq. Hitchens beautifully details his experiences with Daily’s mourning family and the somber scattering of Lieutenant Daily’s ashes on the Oregon coast. Hitchens was deeply moved to be part of this with the late soldier’s family and he is quick to point out that he has never really put his life on the line in such a manner and that he does not have the kind of courage that Daily and other soldiers have each day on the front. Hitchens who has adopted the United States as his home, clearly has a love and a deep emotional connection to and appreciation for what this country represents. I came to Hitch through his atheistic books God is not Great: How Religion Poisons Everything, (Twelve Books, Hachette Book Group; 2007) and The Portable Atheist, (Da Capo Press; 2007). With these two titles Hitchens was preaching to the choir – his writings can help give readers clarity to their own positions and make them think about things in new and clearer ways. Later I read books by Christopher Hitchens on as diverse subjects as Henry Kissinger, Mother Teresa, George Orwell and Thomas Paine – in addition to his frequent contributions to Slate and Vanity Fair. He possesses a unique voice that is both enlightened and progressive that shines brightly on bringing to justice the oppressors of the weak – Hitch is the enemy of tyranny in all of its forms – totalitarianism, corruption, dictatorships, religion and outdated and dangerous dogma. 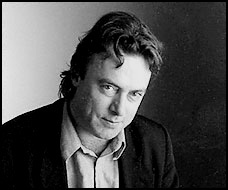 His writing style is informative and entertaining – using such words at “creep/y” to describe shady politicians or the phrase “high-risk narcissist” to describe JFK, Christopher Hitchens enlightens us all with his writing and his ideas; his hopes will take civilization towards a higher plain, or at least clearly explain why we are not getting there. Hitch-22 is a memoir that shines light on its subject and is not afraid to ask or answer the difficult questions. We should all read and learn from Christopher Hitchens and hope that he continues to write and educate us for many more years. Hitch-22: A Memoir will be available at Amazon.com on June 2, 2010. For those of us not as well versed in literature as Mr. Hitchens I will fill in some brief information on some of the lesser known of these writers. Biographical information for this footnote is from Wikipedia. Martin Amis (born 1949) is a British novelist and a Professor of Creative Writing at the University of Manchester. His best known novels include Money (1984) and London Fields (1989). James Fenton (born 1949) is an English journalist and poet. Edward Said (1935-2003) was a Palestinian-American Professor of Literature at Columbia, perhaps best known as a Palestinian rights supporter and as the author of Orientalism (1978). W.H. Auden (1907-1973) was an Anglo-American poet who often wrote on moral and political themes. Susan Sontag (1933-2004) was an American author who was politically active. Peter Hitchens (born 1951) is also a respected writer – he is religiously and politically the polar opposite of his older brother. This entry was posted on May 4, 2010 at 8:44 am and is filed under Reviews. You can follow any responses to this entry through the RSS 2.0 feed. You can leave a response, or trackback from your own site. Very well done! More insight into the Hitch. I will have to preview this when it is released! Thank you! Al – thanks for reading – he is a fascinating man – smart and opinionated – and atheist! I am following your blog – spread the word! Hi Stephen – thank you for reading and commenting. I have read “Letters to a Young Contrarian” – great stuff – I have not read “Unacknowledged Legislation” yet – but will add it to the list. He is a very important writer on a variety of subjects. hey, I’m unable to subscribe to your RSS feed. Can you aid or do you know why? thanks for the info. Thank you Mike, excellent insight into Mr H, and most important to me, it renewd my interest in reading some more of his work. Thank you again!